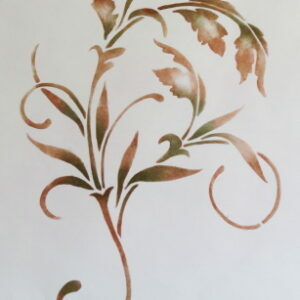 We tend to forget that “5th wall” above our heads, but sometimes, that’s the most fun surface in our homes to decorate! 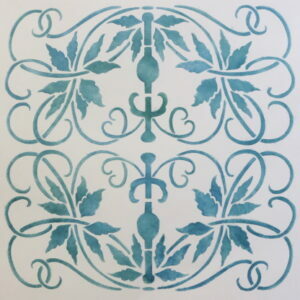 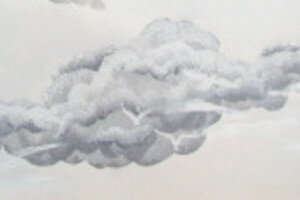 Not only can you stencil a border around an entire ceiling, but try painting yours pale blue then add ceiling clouds, roses, tree branches or something unique to look at. 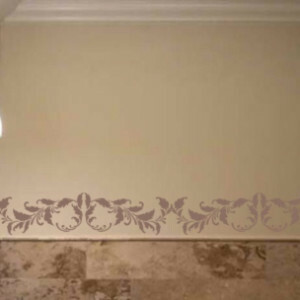 How about using a raised plaster border stencil to create a raised plaster “frame” right above your dining room table. 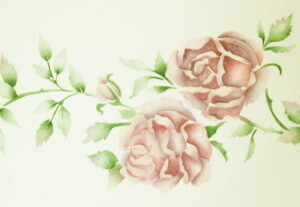 Paint the inside of the frame pale blue then add clouds and roses for a unique ceiling mural that will impress your guests!